They’ve arrived. 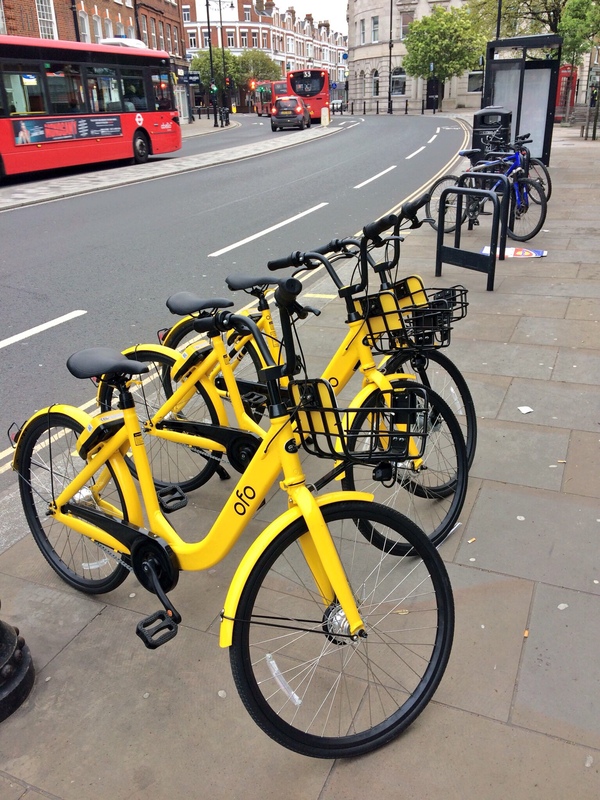 Bright yellow ofo bikes have begun to appear on the streets of Twickenham. It’s a trial scheme although you’ll already have spotted a few rival orange and silver mobikes dotted around the place. Want to hire a bike? Use the app to locate and get the code to unlock a bike. Ride it. Leave it parked somewhere sensible (please!). And that doesn’t include in the middle of the pavement, in a hedge or in the river. Great idea? Or just more street clutter? Previous Previous post: Twickenham Decides: It’s Local Election Time! just dont ride on the pavements please. One “gung ho” cyclist collided with my partner last week. I tried one this morning, seemed pretty good. Felt solid, brakes excellent, 3 twist-handle gears like my old Raleigh Grifter. Couldn’t scan it and had to unlock by typing the code, but that’s easy enough. I really like the idea but I think suggested parking locations with bike racks would be helpful for both the people wanting to find one and people wanting to leave one! You find one by opening your phone and looking on the app. Bike racks are ugly and attract vandals. 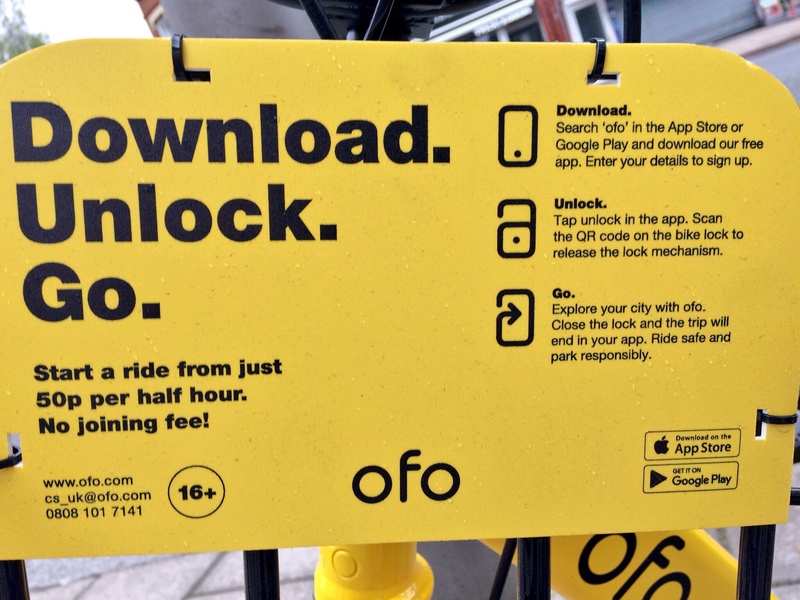 Well done OFO for offering this amazing service in Twix. Had a mobike dumped in my front garden. I installed the app and informed them. They thanked me and said they’d collect it. Two weeks later it was still there so I left it in the street. The lack of specific stations to collect and return bikes seems like a major flaw in the scheme to me.